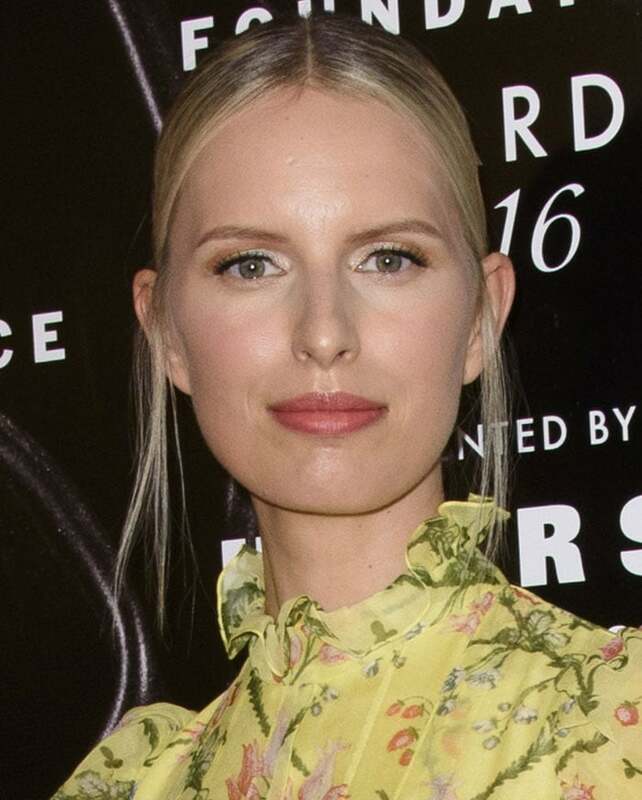 Karolina Kurkova brought some serious summer vibes to the red carpet at the 2016 Fragrance Foundation Awards, which were held at Alice Tully Hall at New York City’s Lincoln Center on Tuesday. The 32-year-old model first of all wore a floaty and bright yellow gown from Erdem’s Spring 2016 collection. She almost hid her slender figure in the full-length number, which featured a high neck and long sleeves. The dress also featured pink and green floral prints and, furthermore, a high-low hem. It seems like Karolina allowed her dress to do the talking. Consequently, she kept the rest of her look simple. She therefore chose to wear only a couple of statement rings as her jewelry. She wore her center-parted blonde locks pulled back opposite of her face. She also applied her makeup in neutral shades, except for the hint of rosy lipstick on her pout. Perhaps most noteworthy were Karolina’s shoes. She slipped into a pair of Charlotte Olympia “Ursula” sandals in green satin, which seemed to add a few more inches to her already statuesque frame. The shoes feature a strappy design and double adjustable ankle straps. They also feature peep toes, almost one-inch platforms and six-inch towering heels. You should probably check out these sandals in two different colors at Charlotte Olympia.